I birded Seaside Park in Bridgeport in the rain, hoping for scores of gulls roosting on the wet lawns, which is often the case at this location. Unfortunately the gulls were few and far between, with the exception being a nice showing of 35 Laughing Gulls. 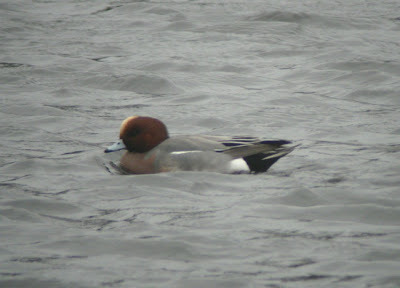 Other highlights were 10 Northern Gannets offshore and the returning drake Eurasian Wigeon.